A deserted motorway. The sound of a motorbike whirrs in the distance and we soon see its driver whip past us and get swallowed-up by the horizon. The camera moves to show a wider shot of the motorway. We can tell it’s from an open balcony window due to the soft and very detailed fluttering sound of what is soon revealed to be an off-white silk curtain blowing in the wind. It blends perfectly with the greys of the landscape ahead. Ridley Scott’s The Counsellor can be summed-up by its opening scene – hauntingly beautiful and clever in its detail, but nothing much happens. And it seems fitting to metaphorically summarise a film in which the dialogue is made-up largely of this very same literary device. What’s it about? Led by an all-star ensemble cast, it tells the story of a man way out of his depth due to his own greed. Through a slowly unfolding, fairly non-existent plot, it centres on a drug deal gone wrong across the Mexican border, the details of which we never fully learn about. 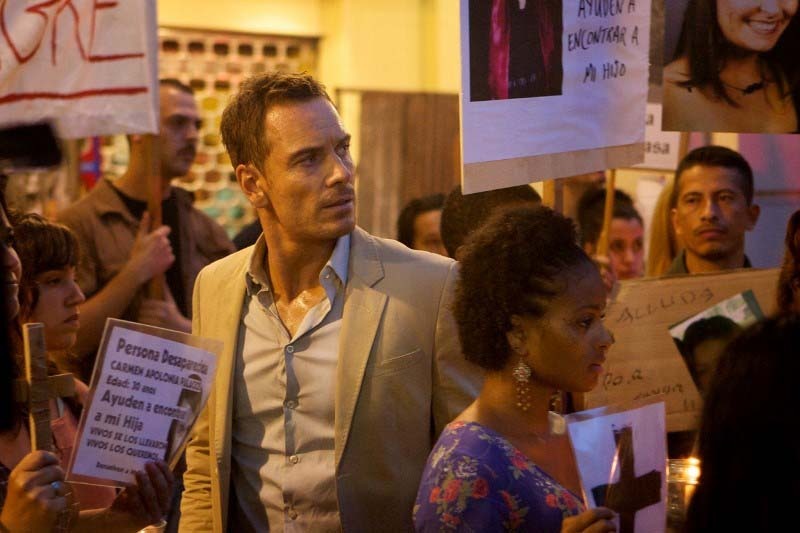 Verdict: The lack of plot makes it feel like the majority of the film consists of Michael Fassbender’s character, known only as the Counsellor, moseying (since we’re near Texas) from one person to the next, getting very vague advice hurled his way. 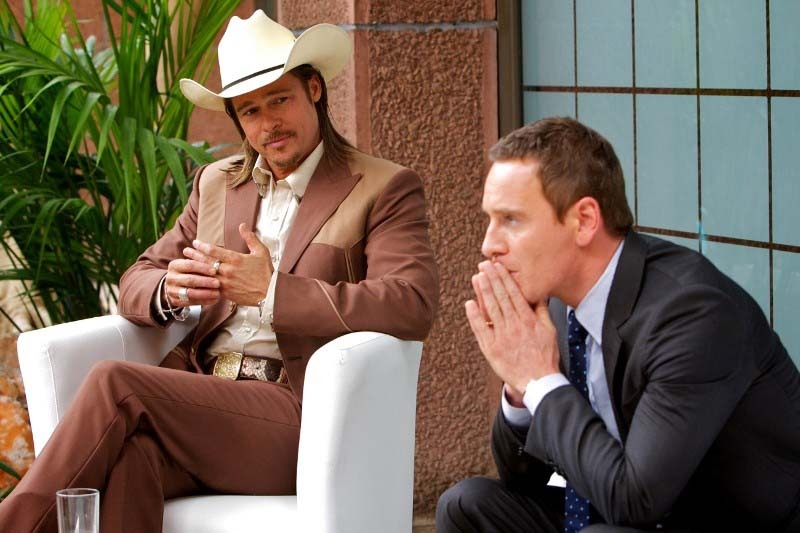 Whether it’s a riddle-telling diamond salesman, a clownish business partner played by Javier Bardem, or a swaggering Brad Pitt in a cowboy hat, they all talk in grandiose metaphors with cool indifference. And within these sweeping statements, the biggest of subjects are covered: love, life, death and everything in between. Whether this is a keen insight into powerful, dangerous people and their bold, oversimplifying and brutal outlooks on life OR just hackneyed, overly ornate dialogue is up to you to decide. But from where I was sitting, it’s merely a shallow backdrop to the violence and brutality we witness. Perhaps the screenwriter and novelist Cormac McCarthy’s writing is better suited to other settings, like the more Western-themed No Country For Old Men. One scene, however, did stick with me in its poignancy. Two kids turn over a dead body, robbing it of its valuables just seconds after its now late owner has been gunned down. They eagerly appear from the surrounding scrap yard, obviously having been waiting for a kill, and quickly descend, like vultures upon the remains of a carcass. This is a rare moment in the film, where Scott manages to make a small moment of detail resonate with his audience and the connecting scenes. Final Words: The star-studded cast sees Javier Bardem enjoy some dark-ish comedy moments. Especially in his response to a certain scene which has already made a bit of a name for itself – the windshield incident. I won’t go into any more detail. You have to really see it to fathom it. Cameron Diaz, whose character Malkina is the main spectacle in this soon-to-be-infamous scene, is strong throughout the film as the sultry antagonist and gives the best performance of the lot. 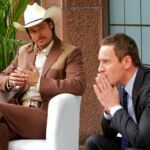 Pennelope Cruz, Fassbender and Pitt certainly have their moments, but again, it seems hard for them to break through the metaphor-heavy dialogue to convey anything meaningful. It is still possible though to look past this and enjoy the ride. Some of the time. Undeniably, there is some brilliance in the detail. The Counsellor is out in UK cinemas on 15 November 2013. Scotsman in London. Composer, musician, occasional scribbler.